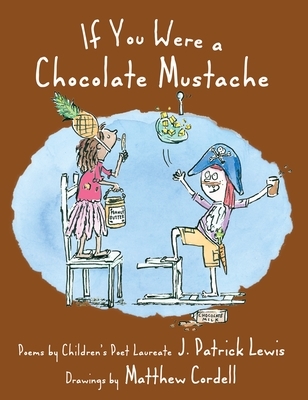 In this tasty collection, J. Patrick Lewis displays the breadth and depth of his talent, giving readers of any and every sensibility something to make them laugh out loud. He stirs humor into an astonishing array of subjects—from animals to school to dragons to food. And he delivers them in a remarkable variety of forms, including riddles, limericks, nonsense rhymes, parodies, anagrams, story poems, haiku, and more. Baked in Lewis's brilliant imagination and sprinkled with Matthew Cordell's warm, witty drawings, the result is a collection to delight the taste buds. J. Patrick Lewis is the 2011 winner of the NCTE Award for Poetry and is the current Children's Poet Laureate. He has written more than sixty books for children and adults, including Spot the Plot: A Riddle Book of Book Riddles and Please Bury Me in the Library. He has two other books scheduled: When Thunder Comes: Poems for Civil Rights Leaders (Chronicle) and The National Geographic Book of Animal Poems (an anthology Lewis edited for National Geographic). He lives in Westerville, Ohio. Matthew Cordell is the illustrator of many books for children, including The Knowing Book and If You Were a Chocolate Mustache. His title Wolf in the Snow won the 2018 Caldecott Medal for the most distinguished American picture book for children. He lives in the suburbs of Chicago. Visit matthewcordell.com.